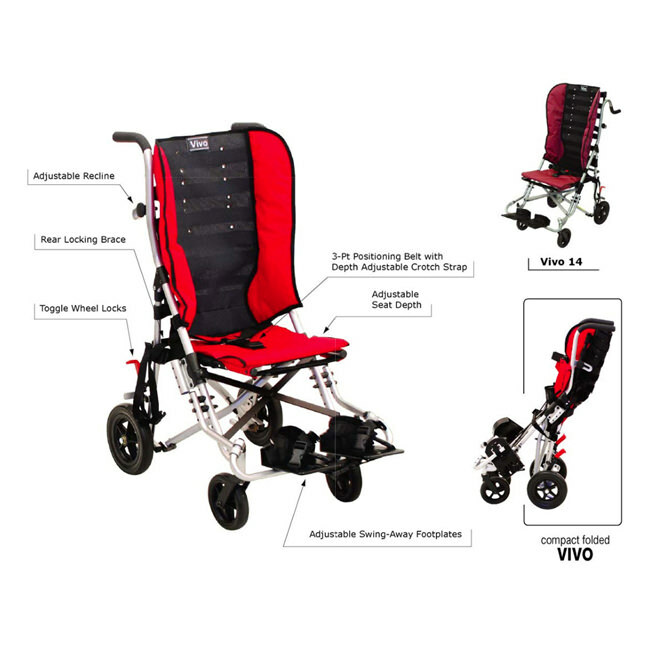 Convaid vivo lightweight stroller is an economical back-up chair, and is one of the lightest wheelchair in the market, perfect for outings to school, day programs, or doctor visits. 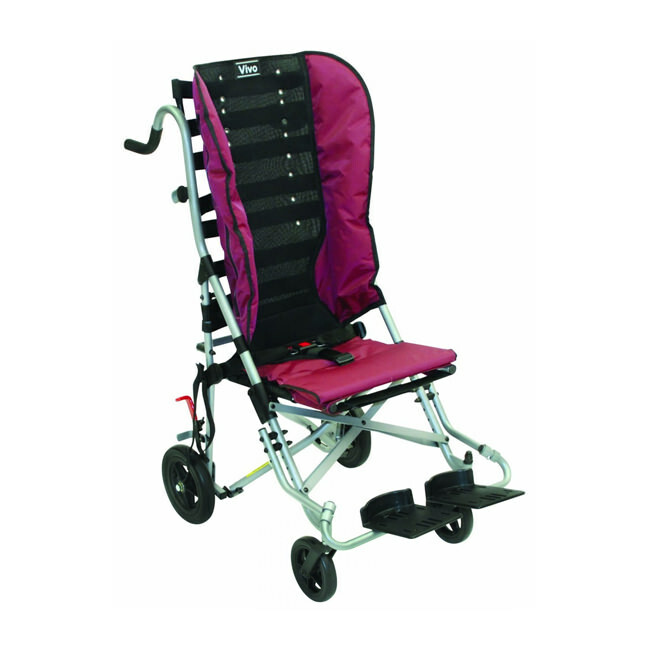 Vivo ultra-light wheelchair is very compact and folds easily for storage and transport. In addition, it comes with adjustable back upholstery and height adjustable swing-away footplates. 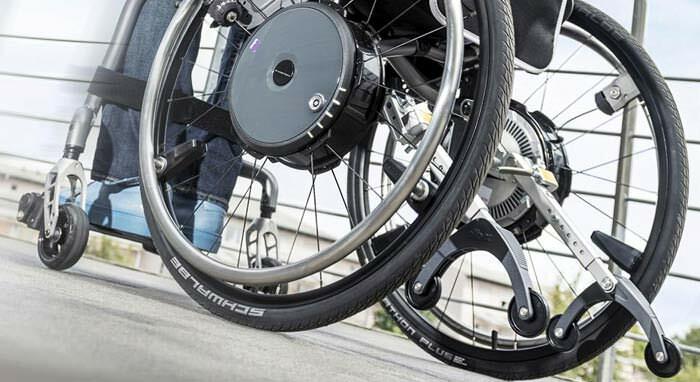 Vivo features 10° of fixed tilt which promotes an upright position for individuals with good trunk strength and upper body stability. 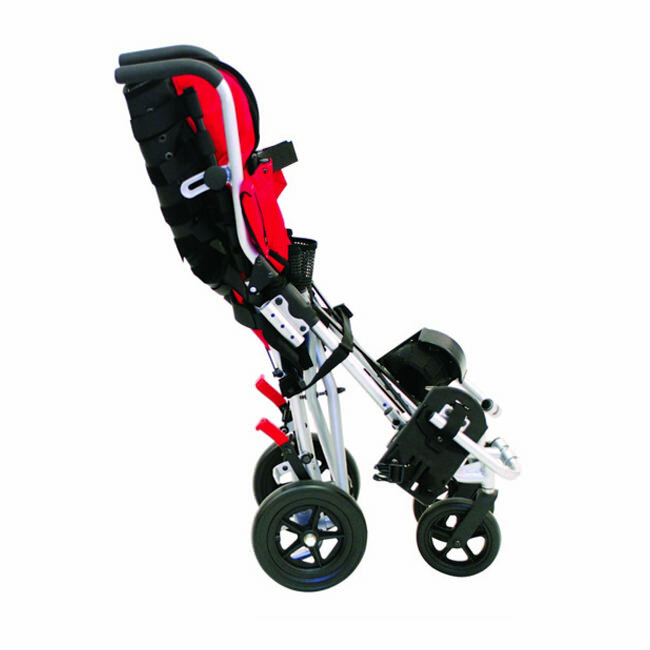 Optional flip-up armrests are available with Vivo stroller which is required for mounting a padded tray. 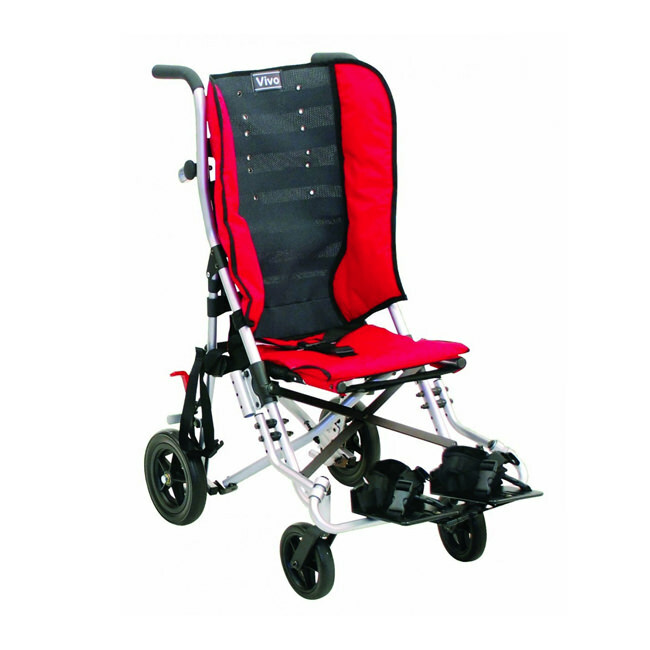 Seat Depth 8" - 10" 10" - 12" 13" - 15"
Long Seat depth 11" - 13" 12" - 15" 16" - 18"
Seat Back height 21.5" 26" 27"
Push Handle Adjustments - - 32.5" - 47.3"
Overall Length 31.5" 39" 44.5"
Overall Width 19.7" 21.5" 24.75"
Folded Length 38.2" 46.6" 50"
Folded Width 14.6" 11.4" 13"
Folded Height 17" 17.4" 15"
Weight Capacity 44 lbs. 88.2 lbs. 121 lbs. Weight of Chair (without front rigging) 14.3 lbs. 17.2 lbs. 27 lbs.